No other prominent speaker focused on Boomers, business, and aging has accumulated an equivalent body of marketing and advertising experiences. With dramatic, high-end multimedia presentations, he enlightens audiences about Boomer business opportunities by drawing upon the insights of someone who has been marketing to this generation since their youth. He began working with Boomers as a counseling psychologist for five years, followed by 38 years in marketing communications as an award-winning advertising creative director and copywriter. He has conceived and led hundreds of advertising and promotional campaigns targeting Boomers for clients across dozens of industries. Thus, he uniquely understands how the contemporary Boomer generational narrative propels consumer trends and behavior, today and tomorrow. A graduate of the Dale Carnegie program, he was an assistant instructor for several years. He has been a member of Toastmasters International for over twenty years, and he has received several first-place regional awards for public speaking. He has served as a trainer on the adjunct faculty of the Center for Creative Leadership. He is also a veteran workshop leader, focusing on helping senior executives manage media interviews and take command of public speaking. He has performed as a keynote speaker throughout the U.S. and Canada and overseas, including speeches in Belgium, The Netherlands, Germany, France, Spain, and Sweden. In his influential book Marketing to Leading-edge Baby Boomers, Brent delivers all the insights and strategies you need to achieve extraordinary business success as you determine what uniquely motivates Boomers and how to communicate with them in meaningful and mutually beneficial ways. This “fascinating and trenchant tome” discloses seminal strategies for marketing to one of the nation’s most economically powerful cohorts. Brent’s most recent business book is entitled Generation Reinvention: How Boomers Today Are Changing Business, Marketing, Aging and the Future. This book reveals how Boomers are transforming major industries as they age beyond 50, 60 and 70. Industries analyzed in the book include travel, housing, healthcare, luxury products, financial services, technology products, consumer packaged goods, products targeting Boomer women, and products targeting Boomer men. Brent also hosts a companion radio program under FMG Radio Network, where he has engaging conversations with the world’s leading experts on Boomers, business and aging. 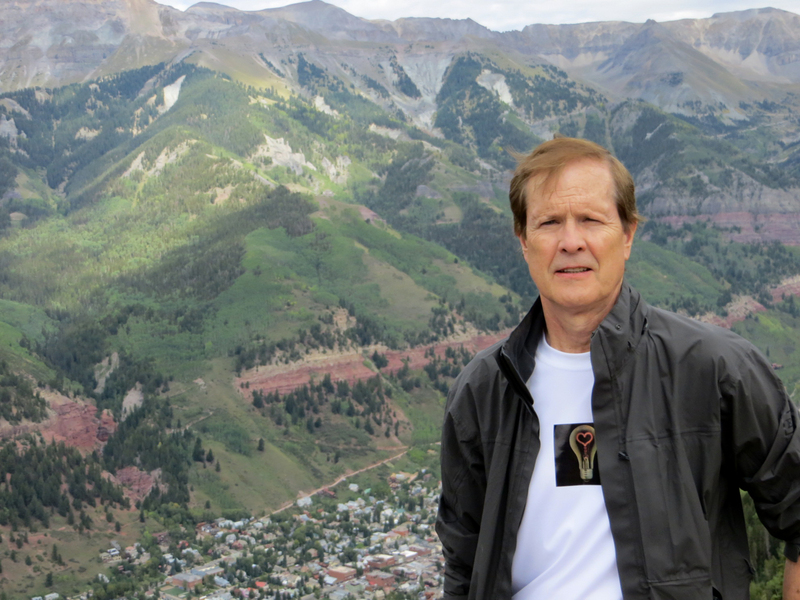 He has continued his incisive analysis of the Boomer generation with the publishing of his newest nonfiction book, Questions of the Spirit: The Quest for Understanding at A Time of Loss. 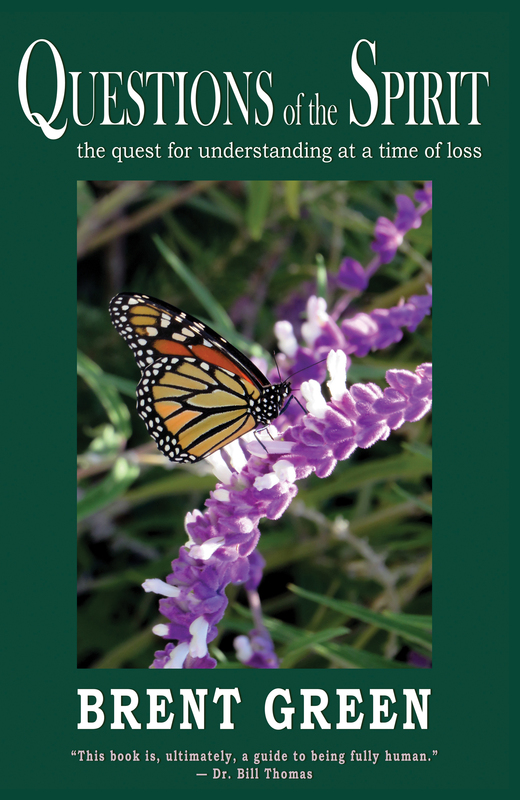 This grief book guides readers through an uplifting journey of self-discovery. Each of eighteen chapters explores a significant question about mortal existence, bereavement, and life’s most difficult challenges. When you combine 20+ years of public speaking training and evaluation experience with the empathetic understanding of a former counseling psychologist, you get a seasoned public speaking coach. Brent Green can help you identify areas for improvement and then give you a plan to address obstacles between you and pubic speaking acclaim. Transform your latent talents and allay your biggest fears in as little as a few coaching sessions. “As I started working with the world’s top ranked sports personalities, I was humbled to see that they spend eight to ten hours a day to enhance their skills. That made me ask, “What am I doing to be better?” And in the corporate world, it is not just what I do but how effectively I communicate that makes me successful. He did not want me to be like him. He helped me to be me, but a better me. That made working with him fun for me, as I was discovering myself. He taught me tools like pausing but let me do it my way. It was very important that he did not tell me that the ideal pause is a count 1-2-3. Instead he let me figure out my pause and that way I am in control when I present. Finally, a lesson from him is not a one-time interaction. He asked me to watch comedians perform and appreciate the importance of pause. Business presentations are ubiquitous; many are fairly boring, conceptually and emotionally. BG&A has developed special talents in transforming the garden-variety PowerPoint presentation into a full multimedia experience; not only are our presentations visually powerful, they’re designed to sell products or shape opinions by reaching deep into buyer motivations. See how we blend music, graphic animations, transitions and video for maximum impact. Then we help you script and stage your presentation for audience engagement, beginning to end. Email us to schedule a discussion of your situation. We’ll let you know right up front if we can help and, if so, how. A media challenge doesn’t have to involve harassment charges or contaminated company food. A challenge merely could be an urgent, unexpected, or unwanted demand to communicate with the public through the media. And clients, customers, investors, business writers, and opinion-makers are paying close attention. Are you ready? Do your colleagues know how to manage a media firestorm or will they let the situation control them? Our training team has a rich complement of professional skills and experiences focused on empowering middle and senior executives. With the confidence that comes from our knowledge and insights, next time a reporter calls for an interview, your team can control the interview process successfully. Visit our media training website for more information: http://managemedia.com/. “As an officer in the American Water Works Association, I’ve taken Brent’s public speaking short course for the last 3 years. I’ve learned something new every time, and thoroughly enjoyed the process. My skills and confidence have markedly improved under Brent’s instruction.